A client’s project is more than blueprints and renderings, it’s a way of life. Our goal is to provide personalized outdoor design services to fit each client’s needs. Backyard Professionals, specializing in Swimming Pools. A Proud member of the Aquatech Society of Pool Professionals. First Coast Viking Pools, LLC is a family owned business serving NE Florida and SE Georgia since 2006. Let us help you experience relaxing and endless fun in your backyard. Fantasy Pools Of North Florida Inc. Mystic Waters & Pool Service LLC believes that you deserve the best in pool care. Keep your pool or spa sparkling all year long with our professional cleaning services. If your pool or spa is not functioning as it should, let us repair it for you. We will make it as good as new for you to enjoy! Don't have the time or knowledge to keep your pool looking great? Let our professionals handle your maintenance for you. Maintenance is available for residential pools, commercial pools and spas at affordable rates. At Island Pools, we understand that building a pool can seem like a very challenging project – beginning with budgeting and the initial design process to figure out the styles and special features you want. But most importantly – finding a pool builder you can trust. We are proud of the reputation we have earned over the years of building pools in Northeast Florida. It is this reputation that continues to bring new projects to our company. As you’ll notice from our long list of satisfied clients, we pride ourselves on doing a quality job EVERY time. Although every project is unique, all projects have one common thread . . . the challenge is to exceed your expectations. We offer everyone an estimate AND the initial design layout at no cost. It’s our way of letting you try before you buy. Now you can actually see in amazing detail what your backyard resort will look like before you ever spend a dime. We’ll sit down with you one-on-one to identify and offer suggestions to ensure the end product meets the needs of your family or business. We may offer suggestions ranging from rock waterfalls or shear descent waterfalls to deck jets and sunshields. We use only top-of-the-line products to ensure your investment is a long-lasting one. Plus, we have thousands of color combinations available for tiles and pavers. We’ll help you create the pool of your dreams, all at an affordable price. A husband and wife team, Sunrise Pools of Jacksonville LLC offers you full-circle expertise in pool building services. Certified in commercial and residential applications, we oversee our projects face-to-face, carrying out customized plans to meet your individual goals from start to finish. With over 22 years of industry experience, we create craft pools, both for new construction and renovation. Whether you’re starting from scratch or looking to upgrade your outdoor oasis, rest assured that you’re investing in an unmatched experience guaranteeing big results. At Sunrise Pools Jax, our business is personal. For more than 20- years, Renaissance Pools and Spas has been a trusted pool builder serving the Jacksonville, Florida area. North Florida residents know they can trust Renaissance Pools and Spas as being a leading Jacksonville pool company, along with expert and personalized service. Renaissance Pools and Spas is a family-owned company – founded by Jeffrey Young in Jacksonville, Florida over 20 years ago – and we care for our customers like family. Our trained and certified professionals are also friendly and caring people with roots in the communities of the Jacksonville area. They’re ready to help you build the pool or spa that’s right for you and are always there to provide the service that can make all the difference in making pool ownership enjoyable, rewarding and trouble-free. Take some time to get to know us. Learn more about the quality work that we do throughout this site and you can always contact us to start a free consultation to see if we can meet your pool and spa needs. Better yet, stop by our new interactive design center located at 14965 Old Saint Augustine Road, Suite 103, Jacksonville, FL 32258 and meet the friendly Renaissance Pools and Spas staff in person. You can look at the many different options we have available, get your questions answered and see what it’s like to part of the Renaissance Pools and Spas family. Tempool Inc. is the world's premier pool plasterer. It has plastered over 30,000 pools in 17 different countries since its founding in 1992. We highly recommend all of the finishes featured on our website as they've undergone rigorous field testing and years of commercial and residential application. We have the only pool plaster training facility in the United States, and our company is firmly committed to quality craftsmanship and integrity. We work with pool builders, management, and homeowners to ensure that each pool is refinished to their expectations. Whether it’s a complete remodel or a tile and interior refinish we have the experience and knowledge to get the job done efficiently and affordably. QUALITY POOLS by Strong Inc. built our pool 5 years ago. They are honest, hard working, and very knowledgeable. We highly recommend Frank Messina to design and build your pool. Good luck with your pool building project, whatever company you may use. Outstanding company! The owner is the most forthright and honest person I have ever dealt with; and he is actually the one I dealwith! I would recommend Quality Pools by Strong Inc. to everyone I know with the utmost confidence. Thank you for a beautiful swimming pool! Frank Messina ensures the highest quality work in a timely fashion, paying close attention to details. He designed our dream pool with 3 water falls, and a wonderful spa, and it is operating as we dreamed. Talk to his company before you consider anyone else! My pool was less than a year old and had developed cracks caused by ground water and a contractor that wasn't licensed to build pools. Quality Pools by Strong Inc. are miracle workers. They came in and repaired our pool quickly and at a low cost! Thank you! We moved to a home with a 25yr old concrete/fiberglass pool. I received estimates of $12,000-$15,000 to have renovations to the pool. I called Quality Pools by Strong inc. Not only was I thrilled with the outcome, but also the price! They repaired & painted the pool, pool deck and steps for an affordable, $1700.00! We are very pleased with the overall appearance of our pool, and every aspect of our new backyard. We were also very pleased with the performance of the crew, and how they kept us informed about the stages of the construction, cleanup, etc. I would recommend Quality Pools by Strong Inc. to anyone. I went to the last Home and Patio Show in Jacksonville, met with many pool companies and decided to sign a contract to build my pool with Quality Pools by Strong Inc. I must say it was one ot the best experience I have ever had in terms of contruction. Frank Messina designed and built my pool exactly the way I wanted. The price is by far the most competitive, the quality is definitely the best and the timeframe impeccable. The only surprise I got was my pool being completed ahead of schedule! I would recommend Quality Pools by Strong Inc to anyone who seeks professionalism and reliability. If you’ve been dreaming of relaxing summer days spent poolside, it may be time to consider hiring a Jacksonville pool builder. A professional can not only help with design and pool installation, but also aid in appropriate maintenance once it’s complete. Whether you're at the beginning stages of planning or want to revamp your existing pool, a pool company in Jacksonville, FL will be able to get you on the right track. What exactly do Jacksonville pool builders do? If you are planning for a new pool in Jacksonville, FL, a swimming pool builder will analyze your outdoor space and your aesthetic wishes to determine an appropriate design for your yard, installing it once the plan is developed and approved. Once installed, some pool companies in Jacksonville, FL can handle the necessary cleanings, water testing, renovations and equipment replacement or repairs for your pool or spa. If not, many can also suggest Jacksonville, FL swimming pool contractors or maintenance services to help with upkeep or repairs down the road. Here are some related professionals and vendors to complement the work of swimming pool builders: Garden & Landscape Supplies, Landscape Architects & Landscape Designers, General Contractors, Landscape Contractors, Solar Energy Contractors. Before hiring a swimming pool construction company to create your new Jacksonville, FL pool, determine how you'll be using it. Will it be for fun or for lap exercise? Will the primary users be children, adults or a mix of the two? Knowing the use can help you find Jacksonville pool builders who shares your aesthetic. Once you find swimming pool builders in Jacksonville, FL who share your style, research is critical. Review customer references and comments, collect at least three to four estimates to compare, meet with potential Jacksonville pool designers and builders in person and ensure that they are Florida certified service professionals and licensed with the registrar of contractors before making any final decisions. In addition, get a sense whether they plan to complete the pool installation and be done with it, or whether they seem interested in building a long-term relationship with you. Be wary of the former: it's likely a reflection on the level of quality of the pool construction they do. Find a Jacksonville pool contractor or designer on Houzz. 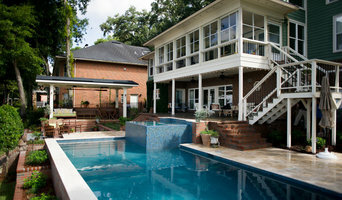 Narrow your search in the Professionals section of the website to pool builders in Jacksonville, FL. 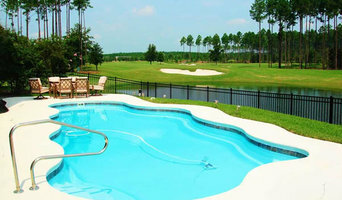 You can also look through Jacksonville, FL photos by style to find a pool or spa you like, then contact the local pool company who designed it.